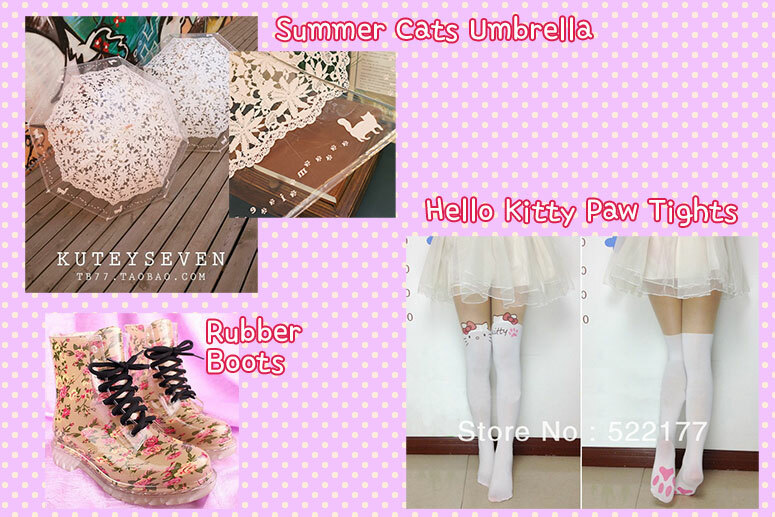 What To Wear on a Rainy Summer Day – Cat Themed! 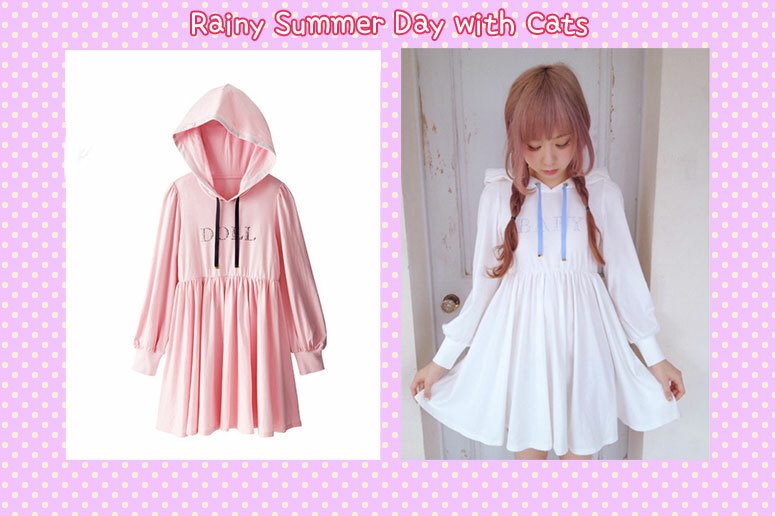 Home » blog » What To Wear on a Rainy Summer Day – Cat Themed! The theme for today is “Rainy Summer Day with Cats’! I put together a cute outfit that is cat themed! I think it’s super cute.. but perhaps, not practical for everyday, haha. Especially for a person my age! I’m totally in love with the tights! On another note, I’m probably world’s most frugal person if you haven’t noticed already. I hate paying over $20 for any dress/shirt/etc.! That’s probably why much of my shopping is done on cheap Chinese sites..
Do you like these kind of tacky outfits or would you like to see more practical every day kind of clothing? And what’s your preference? Are you more frugal like me? Or do you prefer to buy more expensive higher quality clothing? Hahahahah I prefer cheep stuff too..
And you are not so old.. you should wear cute stuff confidently! You can pull any look off so don’t worry about what other think!! Cute stuff really does capture a girl’s heart, haha. I’m glad I’m not the only frugal girl! I love the outfit, even though it is not practical for everyday wear. I love the boots though, they scream spring and summer. And I like posts like these even if they aren’t practical. And I’m not a college student, but I still can’t be spend too much on clothes!